four of which rest overlooking the Cedar River atop the River Plaza Building. These four of six goddesses are Themis, goddess of Justice; Clio, goddess of Knowledge/History; Ceres, goddess of Harvest; and Mercury, goddess of Commerce. 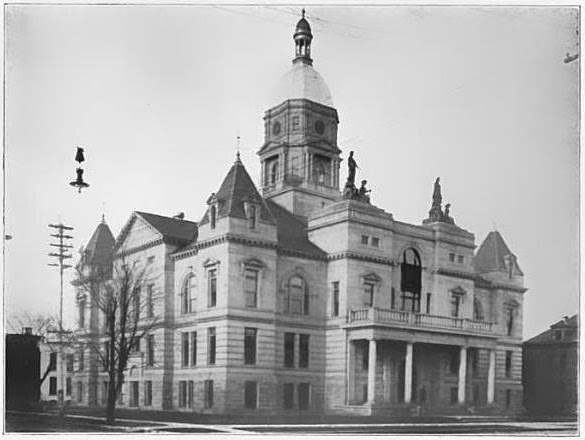 The courthouse was built in 1901 at a cost of $97,000, which with today's inflation would equal an estimated $2.7 million. Stay tuned for more on Waterloo landmarks. 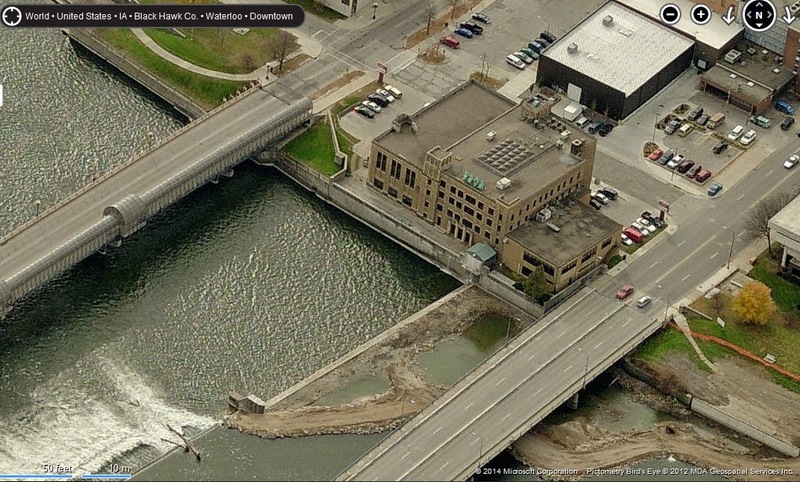 “Bing Maps.” Pictometry Bird’s Eye images. Microsoft Corporation. MDA Geospatial Services Inc.